It’s easy at times to feel overwhelmed by the sexualized and stereotyped media and marketing directed towards children and adolescents. But I want to encourage you to feel empowered to do something to make a difference instead of giving up in despair. You CAN make a powerful statement promoting your own value systems, given the right tools. I was recently reading Jennifer Pozner’s book Reality Bites Back, and one of her suggestions for becoming an empowered media consumer is to make your own media. I love this idea because it is a way to express your own values creatively. When I use the term “positive activism,” I’m not necessarily saying that all of the messages you send will be nice. Instead, I’m using the term positive in reference to the fact that you are adding something to the conversation. Rather than sitting back and being an arm-chair critic who feels powerless, I hope that these strategies will give you the tools to view yourself as someone who has something important to share. I’ve shared a few of these strategies through different blog posts, like the Talking back to Candie’s series of posts in which a group of activists submitted our own ironic ads in the Candie’s advertisement contest to let our voices be heard. Today I’d like to share a few more fun ideas with you, along with some inspiring examples of activists that are making their own media in order to share their values and ideas with the world. With the technological advances that we have today, it’s easy to create your own media. I’ll show you some tools below. Watch a TV show or movie that you and your adolescent are considering and record the words or themes that you notice. 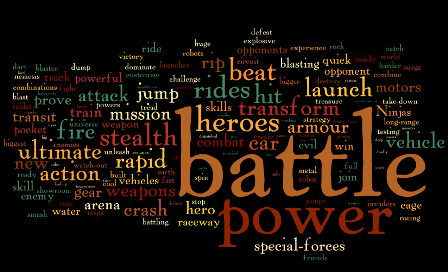 Use Wordle to develop a picture of the overwhelming themes within that show. This will help you decide if the overall worldview presented by the program is one that you want to support. Record the words used in music that you consider sexualizing or negative to make a word cloud and compare it to one for music that you find positive. 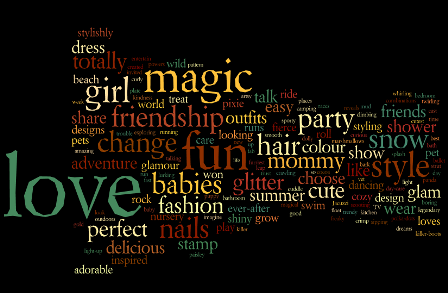 The visual of the word cloud really allows you to compare and contrast the different messages being sent. Make a negative ad positive. Is it the clothes or the words you find offensive? What are the changes that could be made to make the ad more positive? Make an ironic ad commenting upon the sexualized or stereotyped nature of the product or program. 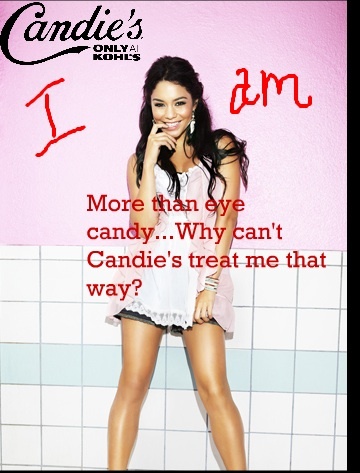 The photo below was entered into the Candie’s ad contest to comment upon the fact that while the Candie’s Foundation promotes teen pregnancy prevention, the Candie’s Clothing ads are highly sexualized and directed at young girls. Use your faux ads to talk with the kids in your life about what makes certain ads sexualized or stereotyped and what they would rather see. What kind of ads would you and they like to see? What would make you want to buy this product? What makes you not like a certain product or program? What could be changed to make it acceptable to you? For example, I’ve discussed the Monster High dolls with my own children and other tween girls. We talked about what we didn’t like about them, and then what would make us like them. For example, the skirts could be longer, the shoes could have lower heels, the body shape could be more realistic, and the characters could wear less make-up. You could even use print offs or pictures of specific products and change them with markers, colors, or your computer programs. Now, here’s a fun idea for those of you who are good with technology. You can make your own videos, write your own songs, or remix other media to make a statement. 1. Remix: You can use sites such as Creative Commons to make remixes, or your own video camera to create your program or music video. Once you develop your videos then you can share them on your own website or Youtube. Some great examples of these are Jonathan McIntosh’s Rebellious Pixels remix titled Buffy vs Edward, which he describes as transformative storytelling and is designed to question the different gender roles promoted through mainstream media. On the Rebellious Pixels website you’ll also find a remix application that allows users to remix their own gendered advertisements. 2. Video critique: Another great example of making your own media that questions particular messages in mainstream media is the work done by Anita Sarkeesian of Feminist Frequency. Anita is a pop culture critic who produces regular video commentaries and remixes, pointing out particular themes that run through media and critiquing them. Think about the media messages that really bother you. What is it about it that gets under your skin? Use that annoyance to spur your creativity and develop a clear, concise message to share with others. 3. Video: Making your own video satirizing mainstream media or calling out particular products or programming and posting it publicly is a very effective way to get your message out. A few great examples of this include the parodies created by Josh AKA The Computer Nerd01. In the one below, Josh pokes fun at the non-sensical lyrics of a Miley Cyrus song. You might also consider making a faux television clip or music video that satirizes a particular theme that you see in mainstream media. In the music video below, Ryan Higa and Kevin Wu question the idea of male emotional distance and what women might do if it was turned on its head. What about writing your own script or song or producing a documentary to share messages that are consistent with your own values? And, if you are really interested in producing quality media, get out there and try to get it produced. Look for workshops, contests, and other opportunities to share your work. 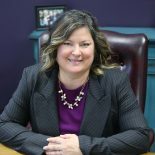 Jennifer Pozner created her own “Realty Rehab” show to point out the stereotypical stock characters and that are manufactured and promoted by reality television. The one below is the introduction with further installments providing follow ups with each character. Another example of this type of work was done by the founders of the Kind Campaign in the creation of their documentary, Finding Kind. Lauren and Molly were motivated to develop this documentary out of their own passion for helping girls learn to be kind to one another. The idea behind all of these ideas is that in this day and age we have the tools to create media that we want to see and to comment critically and publicly upon products and programming that we do not like. You can use these ideas with the kids in your life, youth groups, and friends to jump-start active media critique in a fun way. You can also use these ideas to make a public statement promoting your own values or questioning those promoted by particular programs or products. I urge you to see yourself as an active media user and creator. I believe that each of us has the power to let our voices be heard, to speak out against sexualized and negative media and to speak up for positive portrayals. The more voices join together to speak this truth, the louder we become, and the more we will be heard. Surpisnrigly well-written and informative for a free online article. This entry was posted on June 8, 2011 by Jennifer Shewmaker in Acting, Cooperating, For Teens and Tweens, What's out There That's Good and tagged child development, Children Youth and Family, Creative Commons, Crystal Smith, Family, gender stereotypes, Kind Campaign, Media and children, media and gender, Media literacy, media messages and children, miley cyrus, parenting, parents and children, Reality Bites Back, Remix, sexualization of children, sexualization of females in the media, what can parents do.